< From Curly to Straight Using Smooth ‘N Shine! 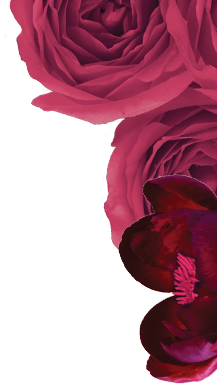 We reached out to our natural hairstyle influencer, Amber Janielle, about our products because we love her uplifting approach to caring for and styling hair. Not only does she effortlessly express confidence and beauty, but she also explains everything she does in simple terms while building an inclusive community around her videos. If you have coily hair like Amber, then you know that sometimes you just wish you could straighten your curly hair. 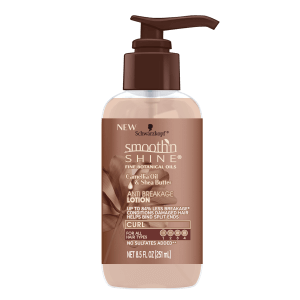 While your natural hair is fabulous and something to be proud of, Smooth ‘N Shine wants to empower you to do anything you want with your hair. Here’s a look at how Amber used our products to achieve straight hair. First, Amber uses our detangler after washing and conditioning her hair. 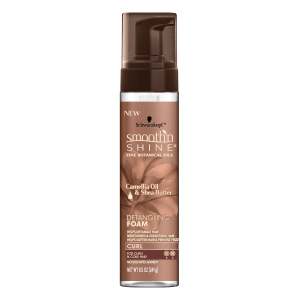 In the video, the Detangling Foam moisturizes and prevents frizz. 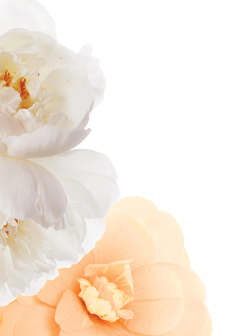 The Detangling Foam is formulated with Camellia Oil and Shea Butter, both of which have restorative and moisturizing properties. Next, Amber raves about our Anti-Breakage Lotion for how well it hydrates her hair. Not only does it work to straighten her hair, but Amber says she’s also excited to use it when she embraces her naturally curly hair later on. Amber unleashes the Straightening Polisher into her hair. 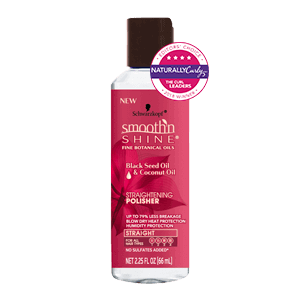 She says this product reminds her why she loves the Smooth ‘N Shine brand so much. The coconut oil and black seed ingredients help protect hair from heat styling, allowing Amber to effortlessly straighten her hair with a blow-dryer and flat-iron without any of the damage. 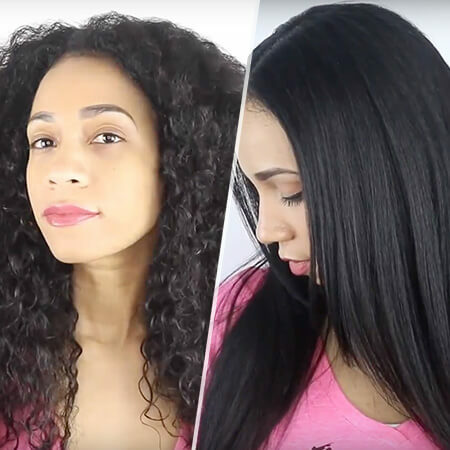 You can easily follow along with Amber’s tutorial video to transform your hair from curly to straight. For more hairstyling tutorials to keep your hair on point, check out our videos on the Smooth ‘N Shine YouTube channel!